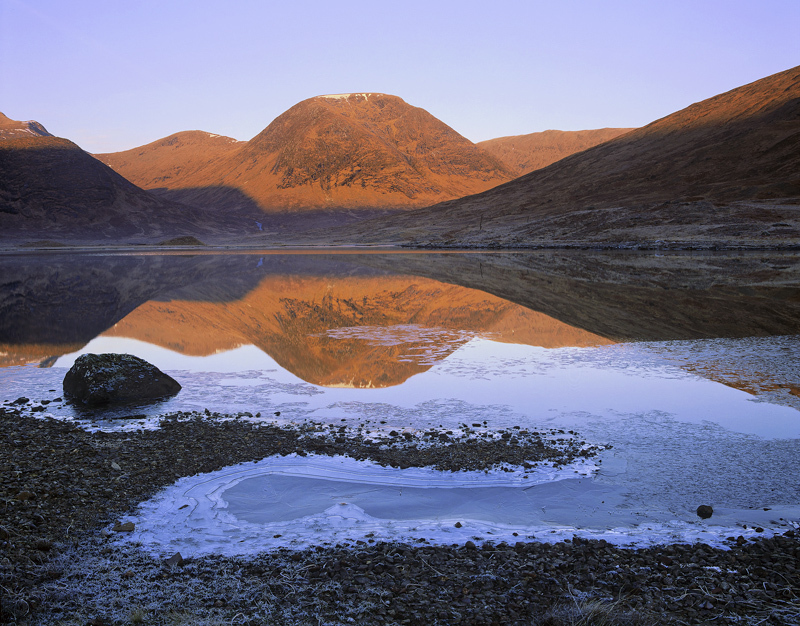 A rust red sunrise illuminated the peaks surrounding Loch Dochard on a frosty morning beside our campsite. The opposition of cold and warm hues were enchanting and the absolute chill on the water and the breathlessly still conditions gave rise to a perfect mirror reflection of the Blackmount. Constructing the picture into seperate elements, that don't overlap is key to the sucess of the picture for me.